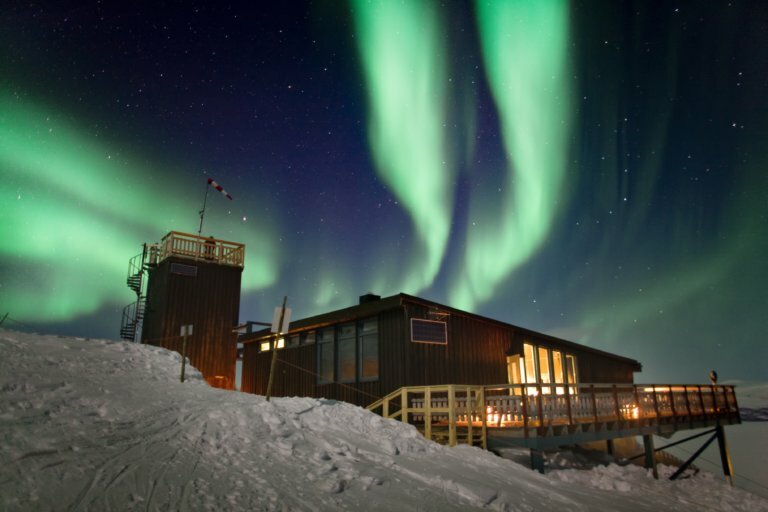 Take the chairlift up above the Abisko National Park where a magical evening awaits you! As your eyes get accustomed to the darkness, watch as the sky lights up with hundreds and hundreds of twinkling stars! 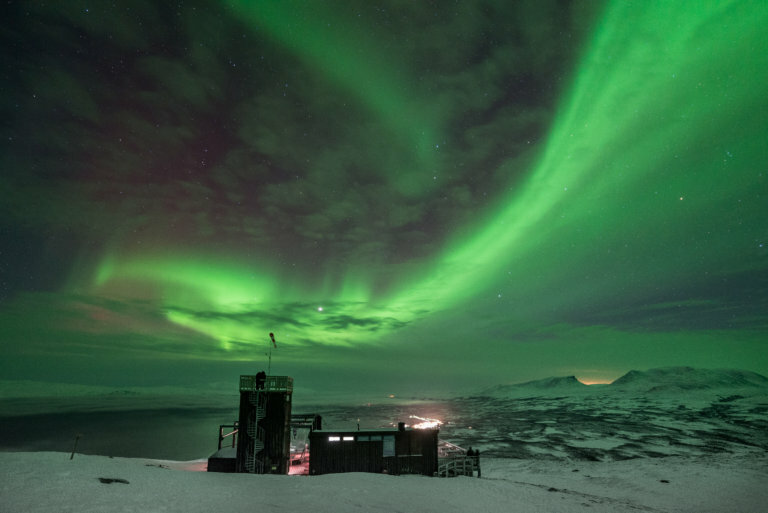 Abisko is one of the best places on earth to see the Northern Lights giving you the chance to witness the aurora dancing across the constellations. 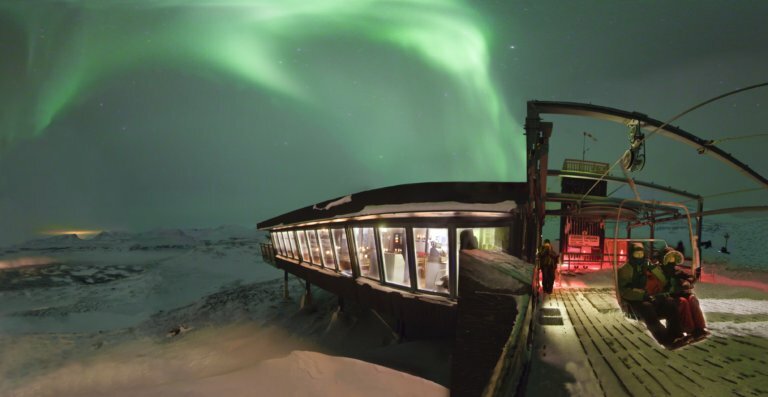 When you arrive at the top you will be welcomed into the world renown Aurora Sky Station where you will be served a four course exclusive dinner based on traditional flavours of Swedish Lapland. You will also have a chance to join a guided tour to learn more about the Northern Lights and how they can be spotted. Enjoy the incredible views from the viewing platform and lookout tower of this incredible natural phenomenon.